I have been tidying my study and I found that I have 15 prints of the second print edition I did from The Fox and the Star hiding away. It is time to clear some space and let Fox go on some new adventures. 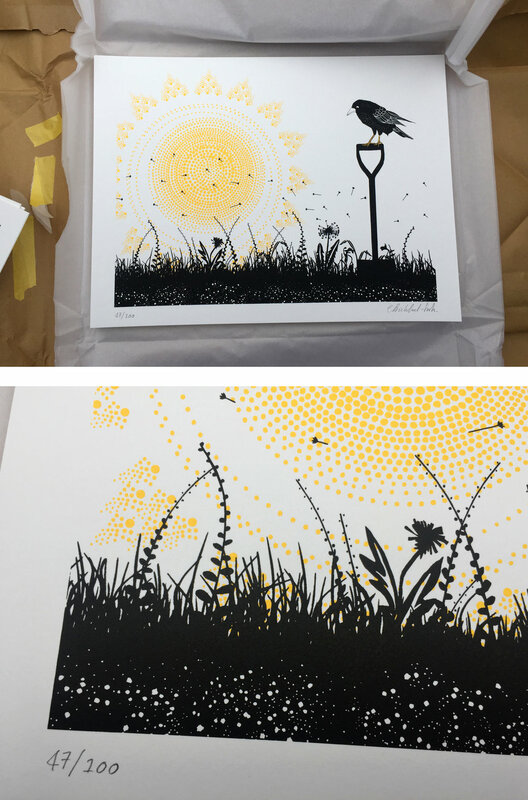 A3, (42cm x 30cm) two colour, signed and numbered, limited edition of 60, screen prints. Printed using 2 inks by The Garudio. Each print is unique due to the hand made nature of the process. This week my illustration is on the cover of COOK a food magazine free with Corriere Della Sera! Inspired by M.C Escher. The Worm and the Bird paperback is out on the 25th of October. Check it out! I got to design not one but TWO National Books Tokens! Such an honour! Find them in a bookshop near you. 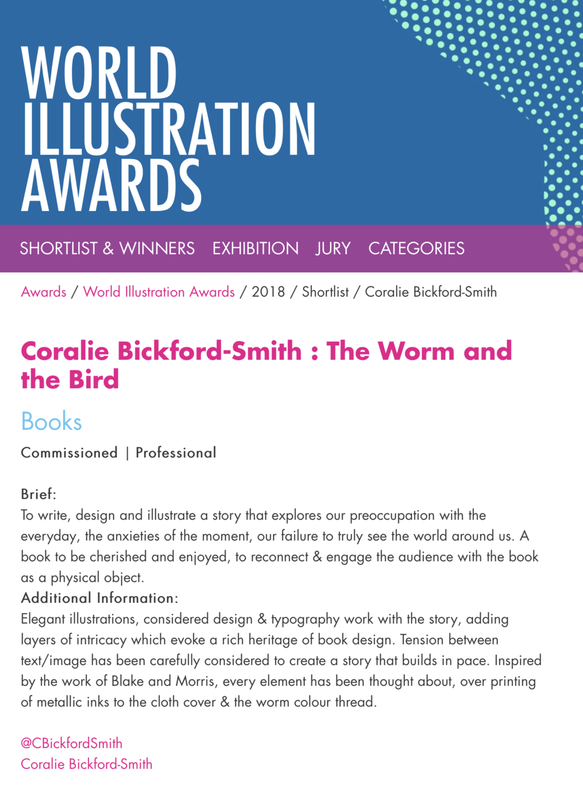 The Worm and The Bird was shortlisted for the World Illustration Awards in the Book category. To say I am proud is an understatement. Thank you for AOI for doing so much to support illustrators around the world. 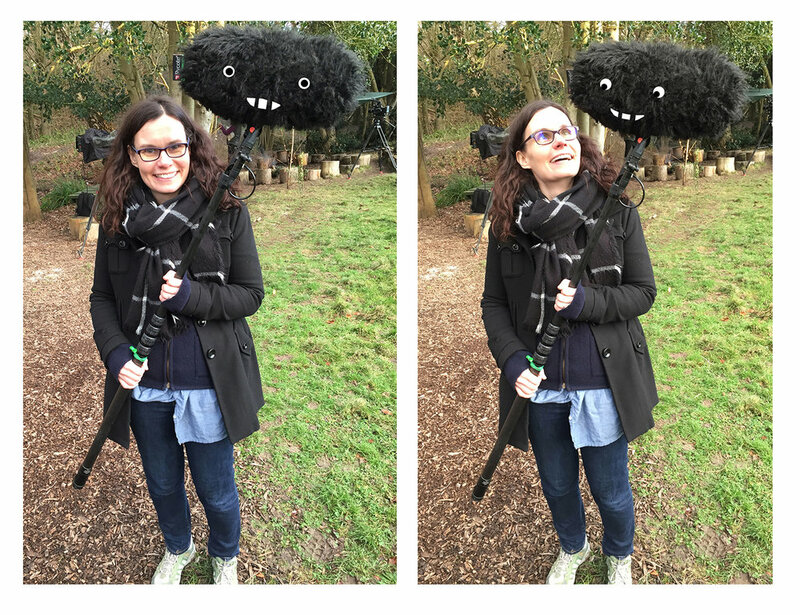 The work they do is invaluable to creatives at any stage of their career. Do go and have a look all the award winning work, it is stunning and inspirational. Congratulations to everyone who made the shortlist! The AOI website is here! YESSSSS!!! The Worm and the Bird has been selected as one of the Communication Arts Magazine 59th Annual Illustration Competition Winners! I had been reading a really interesting article in Art Quarterly about the graphic designer Elizabeth Friedlander. I did not know that she was responsible for the beautiful patterns on the Penguin scores. There is an exhibition of her work at the Ditchling Museum of Art + Craft until the 29th April 2018. Click here for more information! And on the 8th of March I am in conversation with Penguin Art Director John Hamilton. We will be giving a unique insight into the craft of designing a book cover. If you are interested in joining us click here for more information! I designed a new cover for Carlo Rovelli's latest book, The Order of Time.